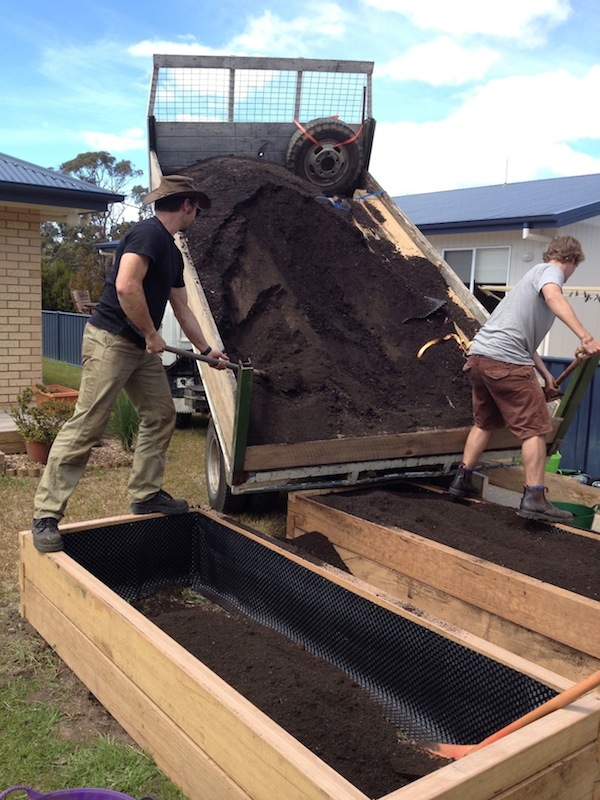 This raised bed setup job for Alan and Jan in Orford was at the edge of our range, being around an hour from Hobart. But sometimes things just go so well . . . and on this job they did! Bodie from Dovetail Timbers, who makes the beautiful garden beds, was able to bring soil to fill them in his truck which was already travelling to the site with the timber for the beds. Then we discovered that his truck could squeeze down the side of the house, enabling one bed to be filled directly from the truck. Love it!